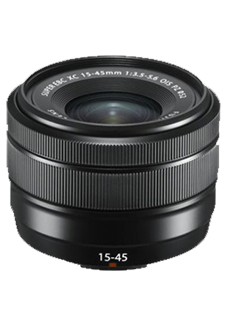 The “The FUJINON XC15-45mmF3.5-5.6 OIS PZ lens achieves high-resolution images while maintaining a compact size 44.2mm*1 and a lightweight of 135g. The optical design incorporates 10 lenses in 9 groups, including three aspherical lenses and two ED lenses. It covers a focal length from a wide angle 23mm to a medium telephoto 69mm (in 35mm format equivalent) which makes it an ideal lens for both landscape photography and portrait photography. At the widest available angle setting, it is possible to take photographs of subjects as close as 5cm from the end of the lens, achieving a maximum reproduction ratio of 0.24, perfect for photographing food and small accessories. With the XC15-45mmF3.5-5.6 OIS PZ, customers will be able to shoot a wide variety of scenes. Zack Arias "Mumbai Photo Session"